hello guys its me samantha. dont you miss me posting on here. i know you do. hehe! well anyway i’ll freshen some stuff up for you. well anyway im sure all of you know that tomorrow is the big day. halloween! i plan to gain 1o pounds of stuffing at the least. im going to get fat from candy, i can assure you. anyway, you know how i am being a seaweed lagoon monster princess? well, after kit saw my costume SHE wanted to be one too! and at first lulu was going to let her! UGH I wish madeline would put kit on ebay. that would show her. 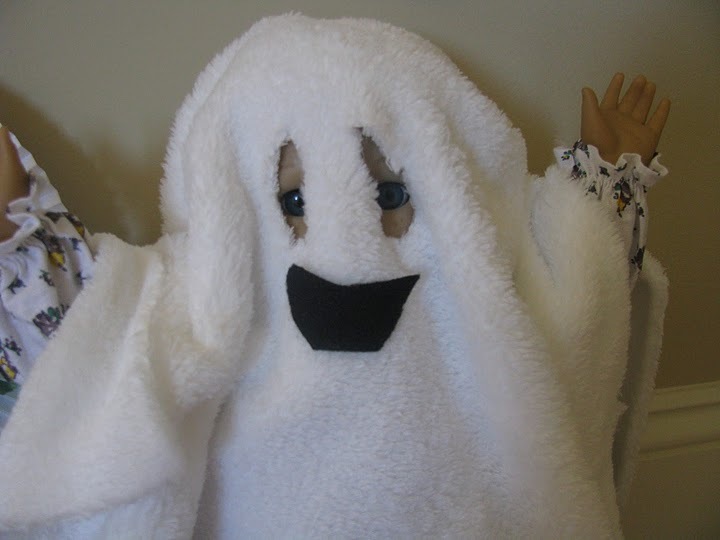 but then madeline made kit be a boo baby ghost again because it wasn’t fair and besides madeline had made that costume for kit. and of course kit bawled into big baby tears. goooooooodness that girl acts like she was born in the factory yesterday!!!!!!! she is waaaaaaaaaaay below eight years old!!! anyway last night i watched my movie, samantha an american girl holiday. it made me miss home. i miss my uncle gard and aunt cornelia. and bridget and jenny and nellie and grandmary and even that horrid kid eddie. ive learned to be a lot more tough since i came to agdc and now i bet you i could beat him up! in other news madeline is reading a book called heidi. it is one of those classics. and i think she is going to make a story of it with us! oh, if it’s true what she’s doing, i want to be heidi!!!!! in the book she has black curly hair, and im sure i could curl my hair. oooooh i really want to be her!!!!!!!!!! OH MY GOODNESS! Thanks to a reader on doll diaries, the GOTY 2011’s name was discovered!!!!!!!!!! 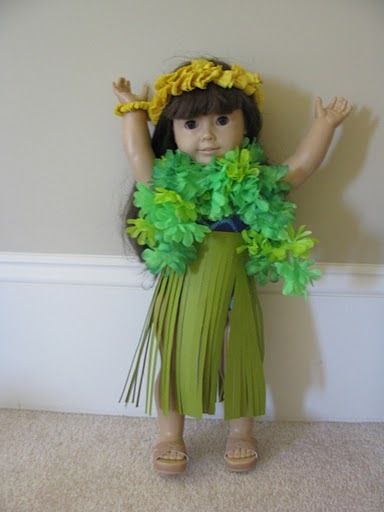 Her name will be Kanani, and the titles of her first book is said to be “Aloha Kanani!”! ISN’T THIS AWESOME!?!? SHE WILL BE HAWAIIAN! Itching to know what the book description is?!?!?!? Well, it is here too! Hello! Welcome to baking class! I am your host, Julie Albright! 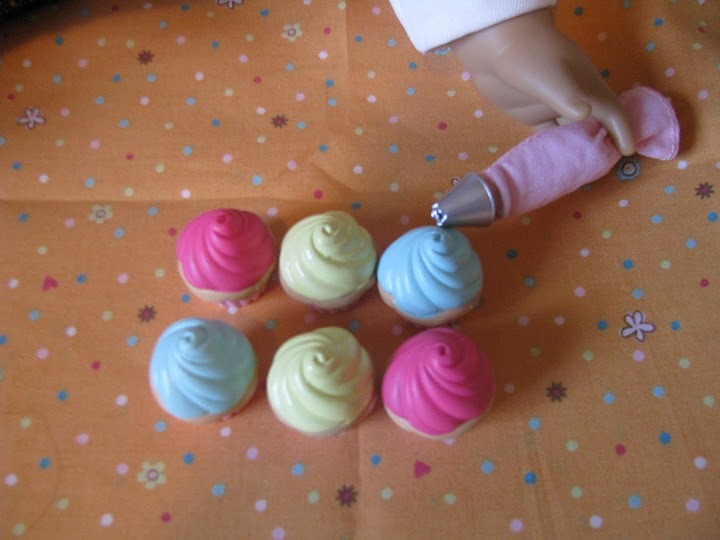 Today I will show you how to make vanilla cupcakes using a real recipe so that you can make them at home, too! 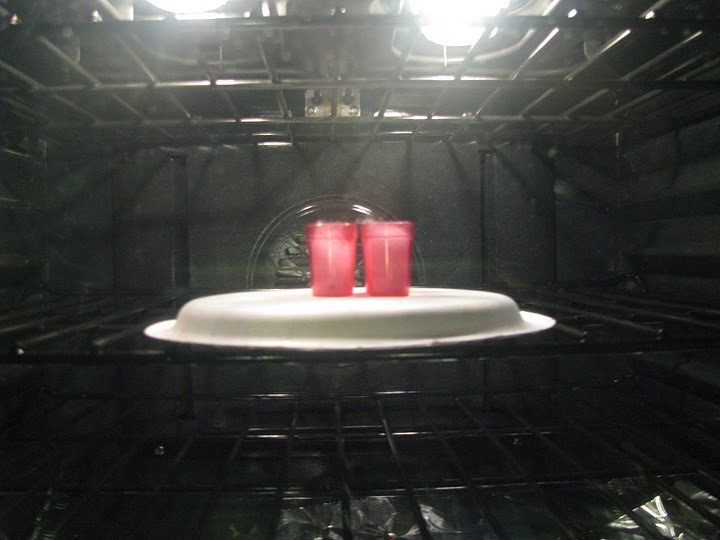 Before you begin, preheat the oven to 350º and line cupcake pans with liners. 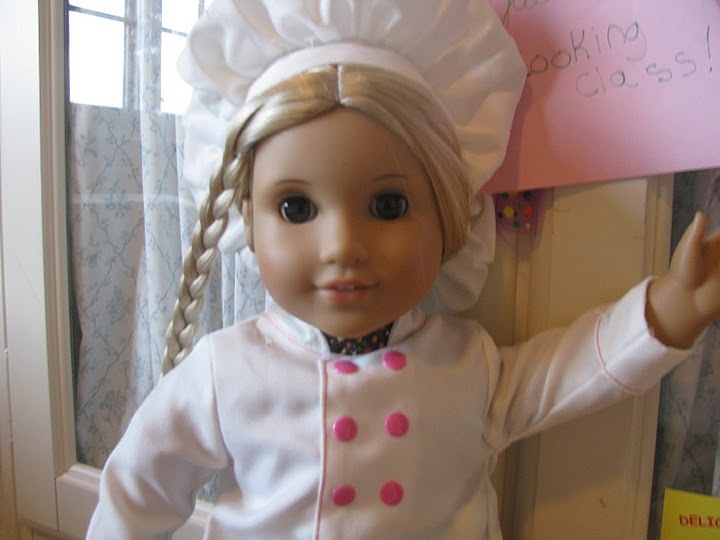 Combine 2 cups all purpose flour, 1 1/2 cups sugar, 3 teaspoons baking powder, 1/2 teaspoon salt, 1/2 cup shortening, 1 cup 2% milk, and 1/12 teaspoons vanilla extract in a large mixing bowl. 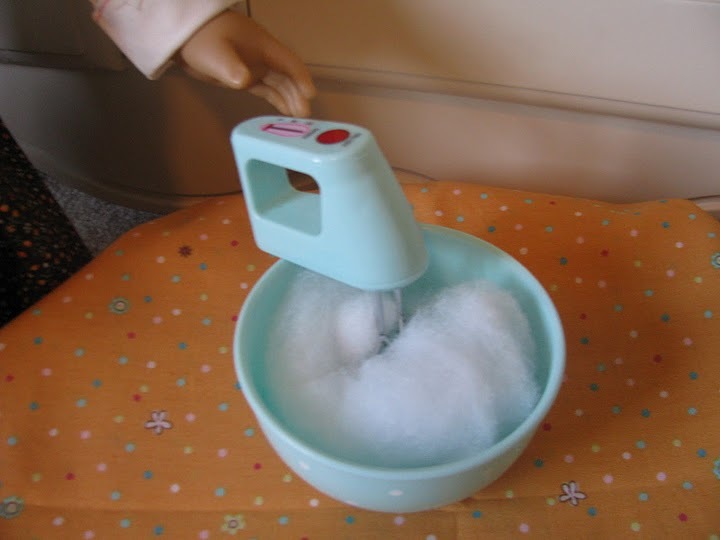 Mix at low speed for two minutes and scrape bowl. Then add 4 egg whites and mix at high speed for approximately 2 minutes and until fluffy and smooth. Fill liners 1/2 to 2/3 of batter. Be careful not to overfill. 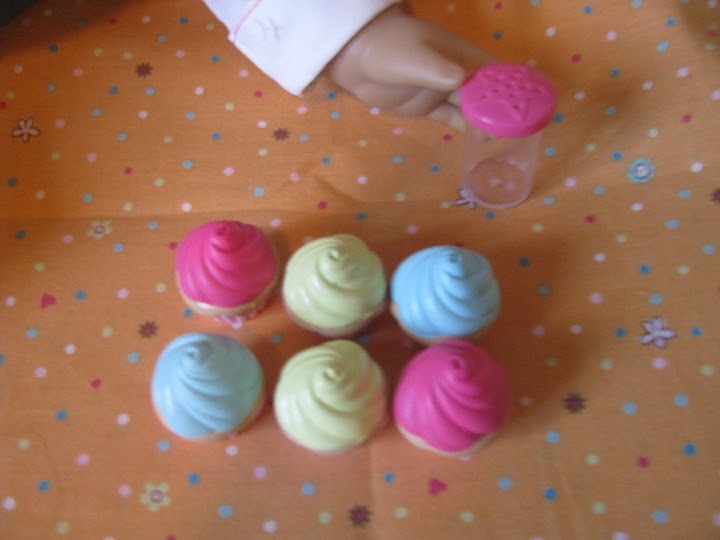 Bake cupcakes 20 to 25 minutes in the oven or until toothpick inserted in the center comes out clean. When the cupcakes are done baking, let them cool for 10 minutes in pans. Then remove from the pans and place on wire rack to cool completely. Now it’s time to decorate! Frost cupcakes with an icing bag. You can also add sprinkles if wanted. 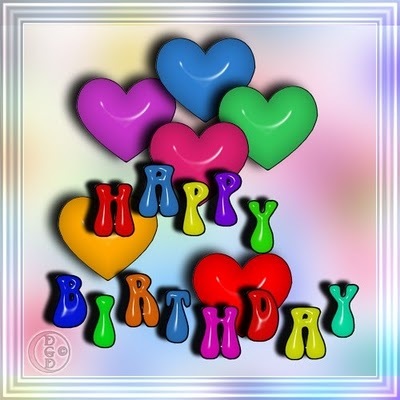 There are lots of birthdays going on right now, and if I’m not mistaken, today is the birthday of a very special girl! Sarah is turning 11 today! 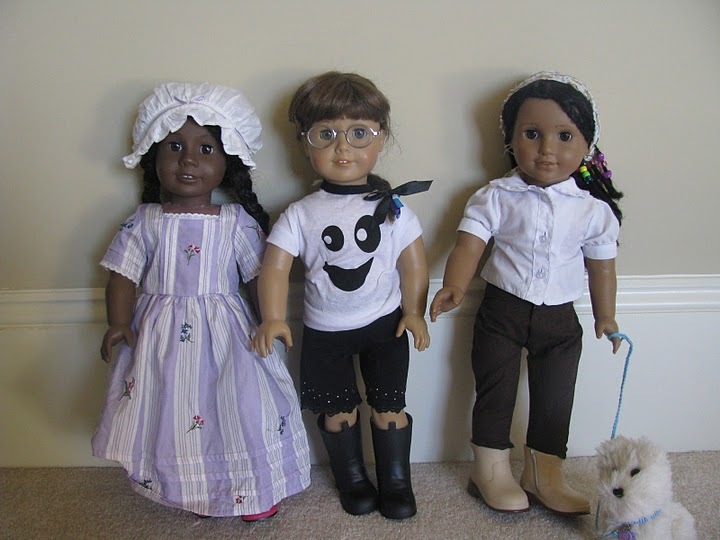 In celebration I have invited her dolls online….Sallyjoe, Molly, and Felicity!!!! Happy Birthday Sarah! Have a wonderful day!!!! 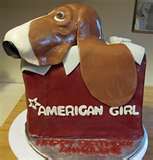 In speech of birthdays, here are some pretty cool AG-themed cakes I found online. No copyright intended!!!! Here is a Jess cake. 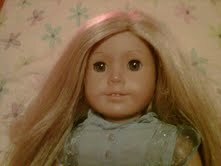 Jess was the 2006 doll of the year! This one is really cute! It’s an AG store bag with Grace (Kit’s dog) popping her head out of the top! 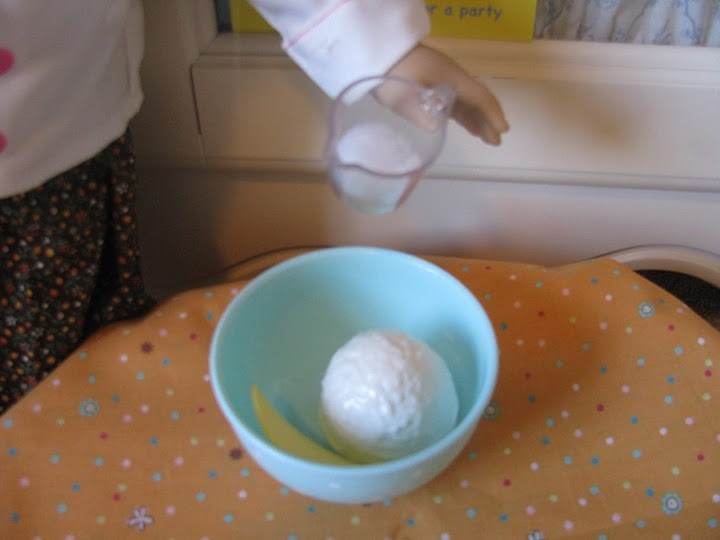 Here’s a JLY cake that shows a doll and Coconut. 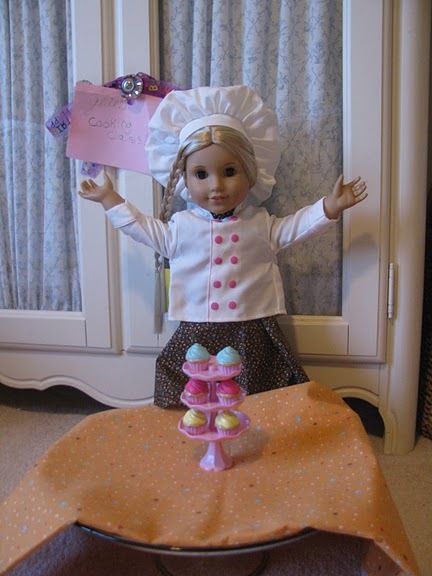 Here’s a very nice one- a pretty pink stacked cake with an American Girl Doll cut-out on the top. Whoever made this one has awesome decorating skills! This is Kit’s Tree House!!!! 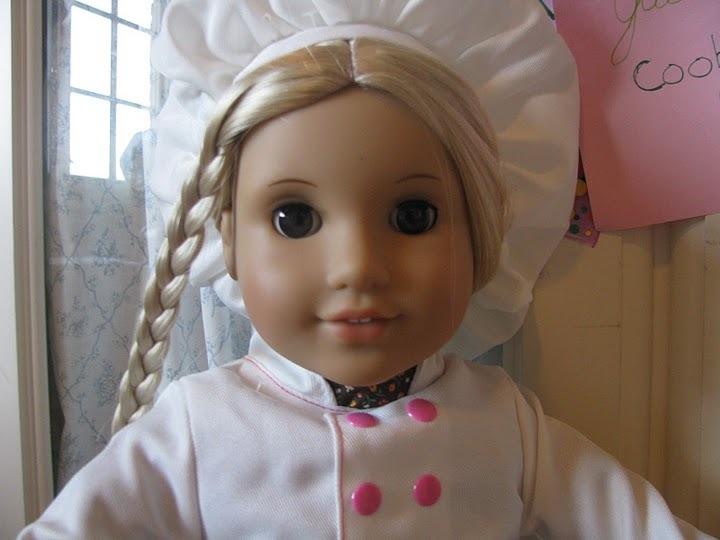 Here’s another cute cake based on JLY dolls!!!!! Which one was your favorite??? 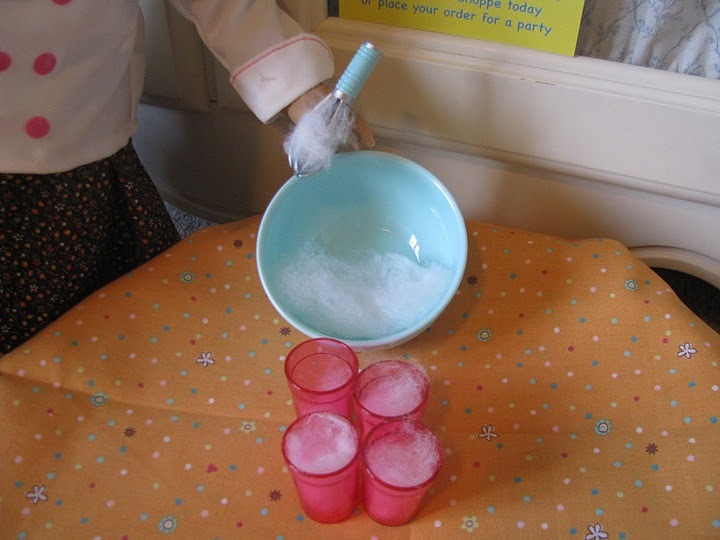 This simple, fun craft is perfect for you and your doll—and it makes great activities at birthday parties for younger girls. Do you ever see those pretty, multi-color ribbon hair-bows at stores? Well, now you can create your own! All you need is some ribbon and a few simple tools. 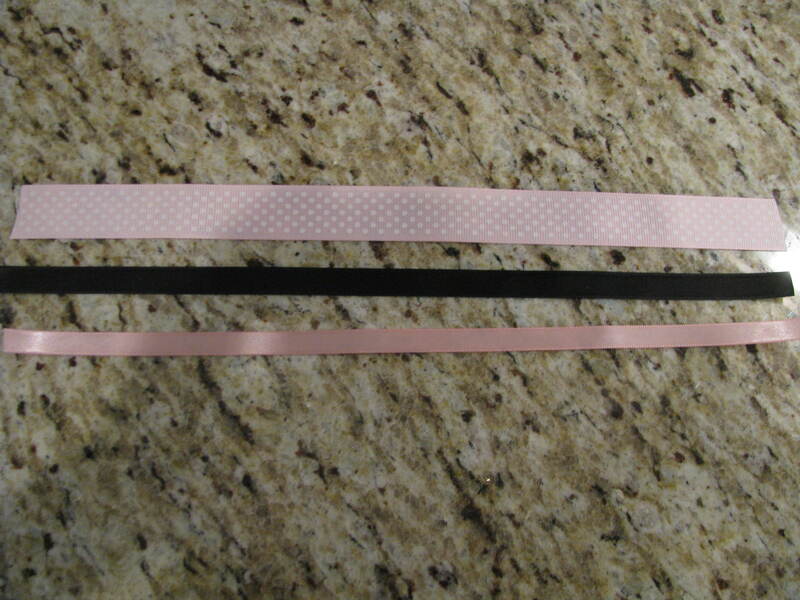 Cut 1 foot of three different ribbons (you can find great varieties at Wal-Mart and craft stores)- 1 thick one, a smaller one, and an even smaller one. These colors support October, Breast Cancer Awareness Month. Lay the MIDDLE ribbon over top the LARGE ribbon right in the center, equally. To keep it in place, put two sewing pins on each side. DO NOT GLUE TOGETHER. 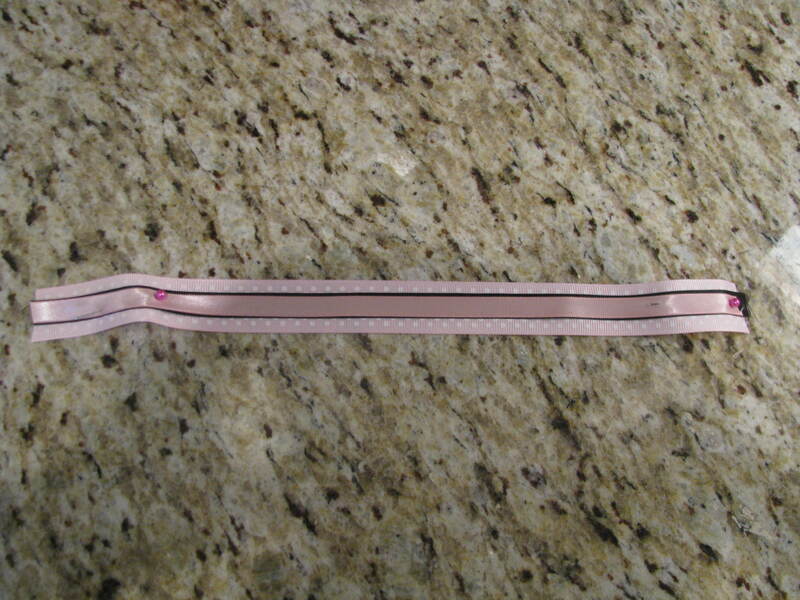 Remove the pins very carefully and lay the small ribbon on top. Secure pins. 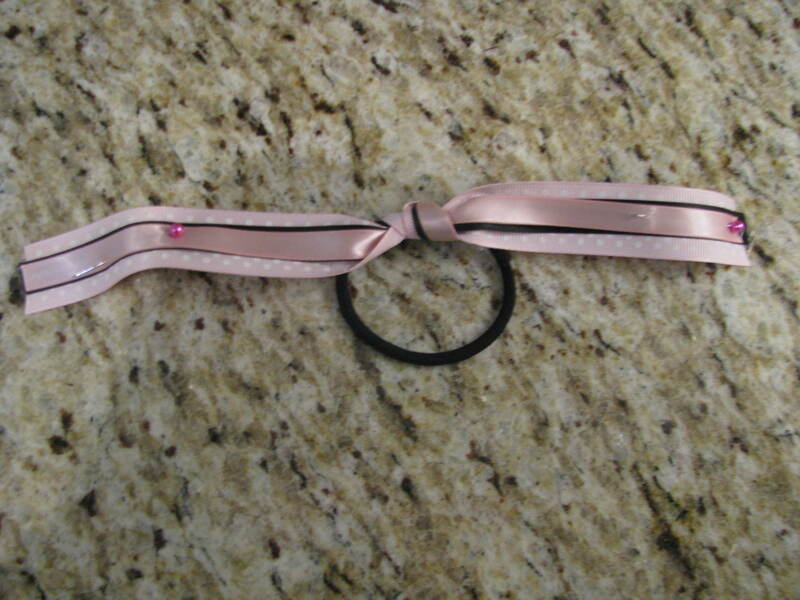 Tie your ribbons ONCE on a hair-band so that the ends are equal. Make sure you pull tight. Almost done!!! Most likely your ribbons will fly, flip over, and not stay in place. 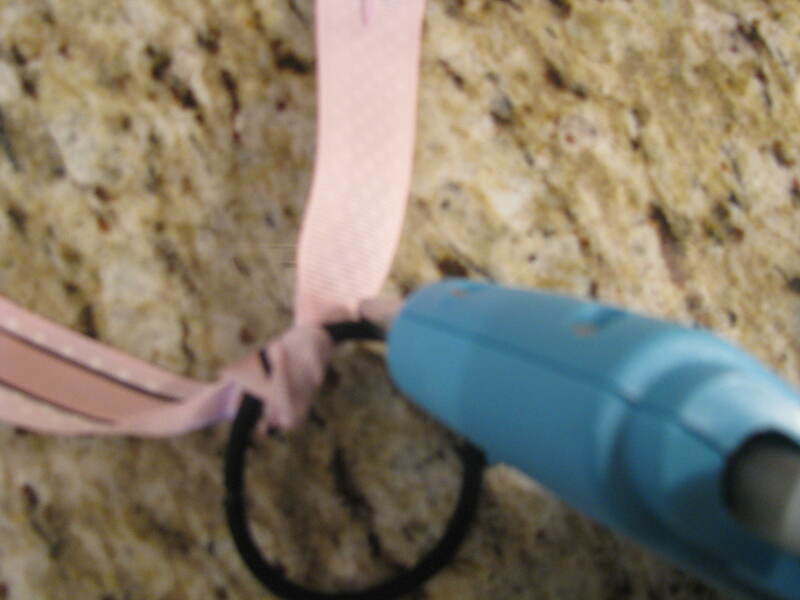 To keep them secure but still bouncy and playful, lift up the large ribbon and squirt a small dot of hot glue on both sides, then press down. Take out the pins and now your done!!! This is girl-sized. 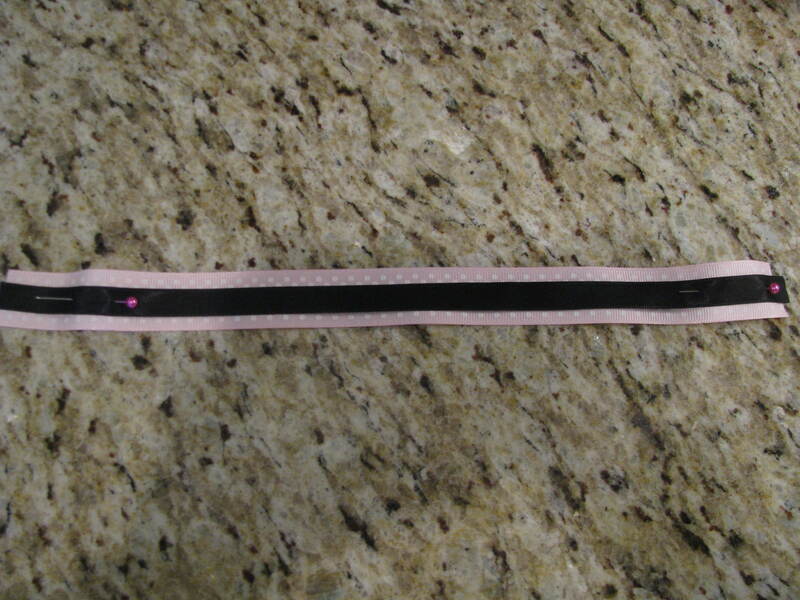 To make it doll sized, shorten the length of the ribbons and use a smaller hair-band. 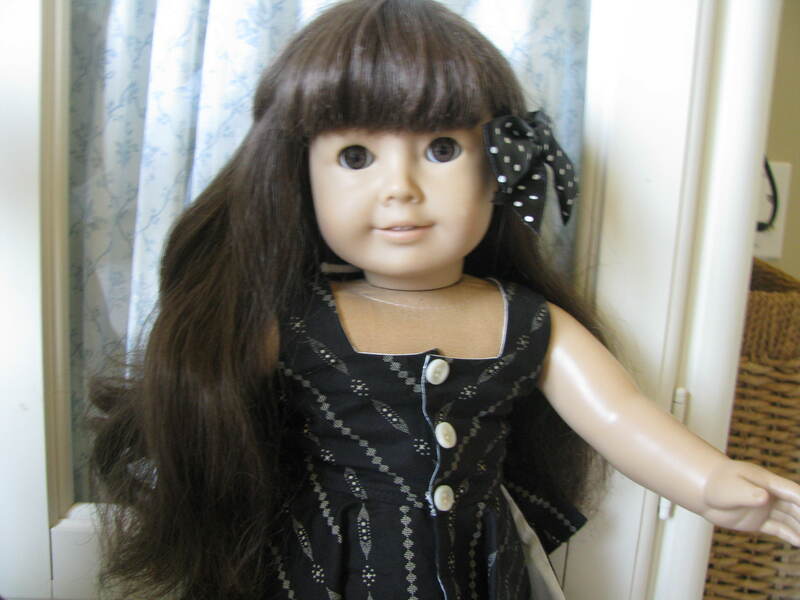 Remember to always brush your dolls hair with a wire wig brush, and make sure that the accessories you put in your dolls hair are unused by humans because of oils. 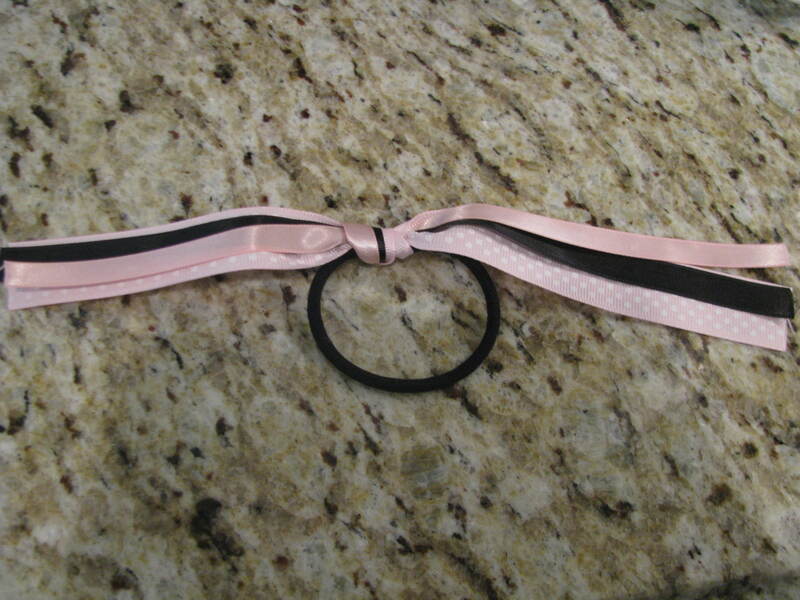 These bows are also great for sports teams and squads. I made these for me and some of my friends on my cheerleading squad when it was Pink Night for breast cancer. You can use all kinds of different colors for making your bows—if any of you make these bows at home, please send in pictures!!! I want to start doing crafts on here (I haven’t really done much). What crafts would you like to see coming up? Hi! 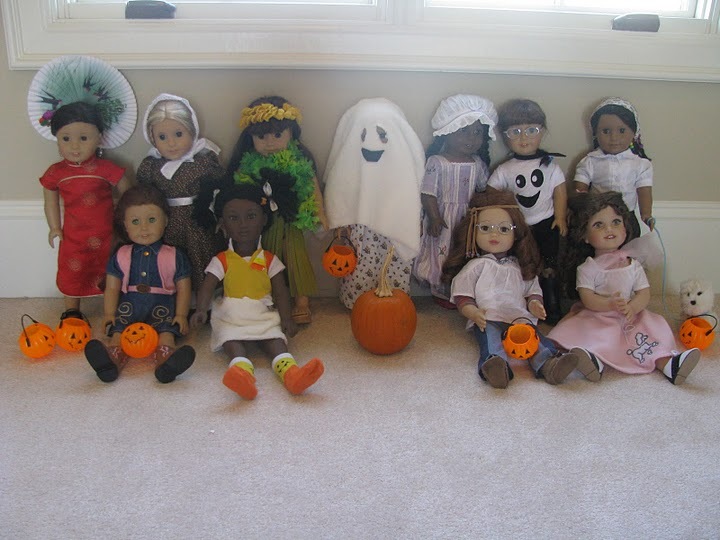 Today my dolls chose their halloween costumes! 1. 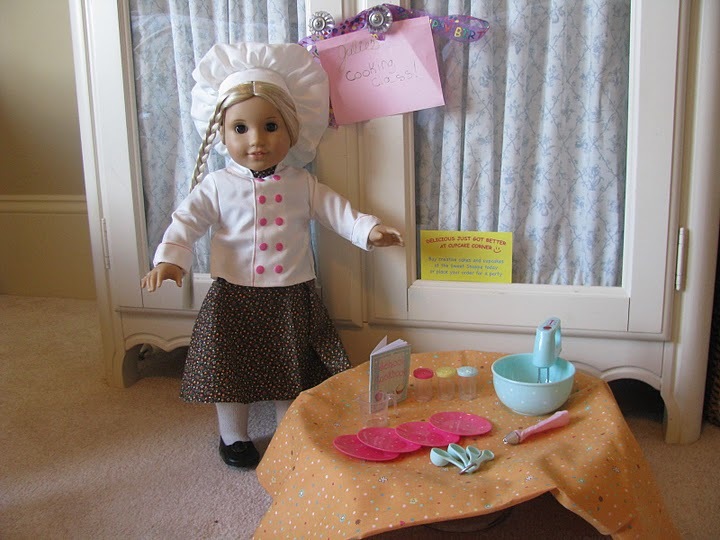 Lay a white sheet of fabric/cloth over your dolls head equally. 2. Using a fabric pen, trace eye holes based on where your dolls eyes are. 3. Remove the sheet and cut out the holes. 4. Cut out a “smile” from black felt and hot-glue on. OPTIONAL: Cut arm holes. Use a fabric pen to draw squiggly eyebrows. 5. Lay back over your dolls head and ta-da! 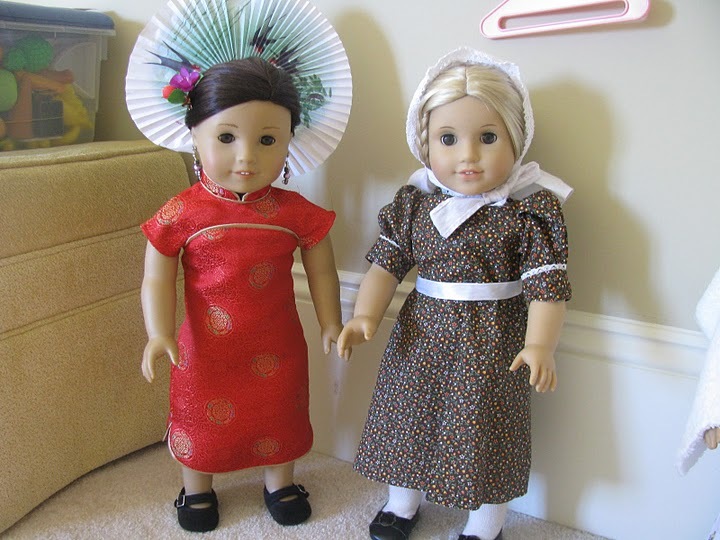 Eva Grace chose a Asian Geisha. It is made from Ivy’s New Year Dress, and I added a small fan in Eva’s hair, then putting it in a bun with chopsticks. 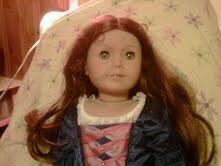 Addy chose a Phoebe Fraunces costume, which is made from Felicity’s meet dress. Phoebe Fraunces was a freed African-American girl during the Revolutionary War era (we read about her in school). Molly chose a Hip Ghostly Girl costume. 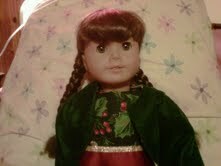 We found this top in the dollar section at Target-they have tons of doll-sized seasonal T-shirts throughout the year! The pants are from build-a-bear. Josefina is a pet trainer. Her clothes come from different Our Generation outfits. 1. Take a green sheet of construction paper and cut lines from the bottom to the top (leave an un-cut space at the top). 2. 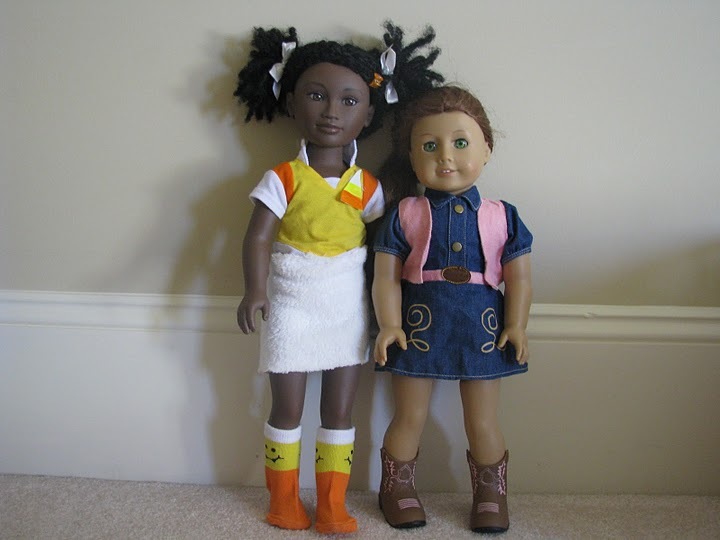 Shape it around your doll’s waist. If the skirt is to big, trim the sides. If it is too long, trim the bottom. 3. Secure with a safety pin or scotch tape. Lulu is a Candy Corn Cutie. Her top is part of her meet outfit with a candy corn sticker on her right chest. The skirt is made from a white piece of fabric being wrapped around her waist and secured with a safety pin in the back. The socks are from the dollar section at Target. Felicity is a Ranch Gal. Her outfit is a Cowgirl Outfit from Our Generation. I hope you enjoyed looking at the costumes and learning how to make them! To read the mini-story that goes along with it, please visit HERE. Have a great day! God bless you!